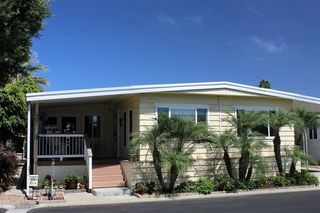 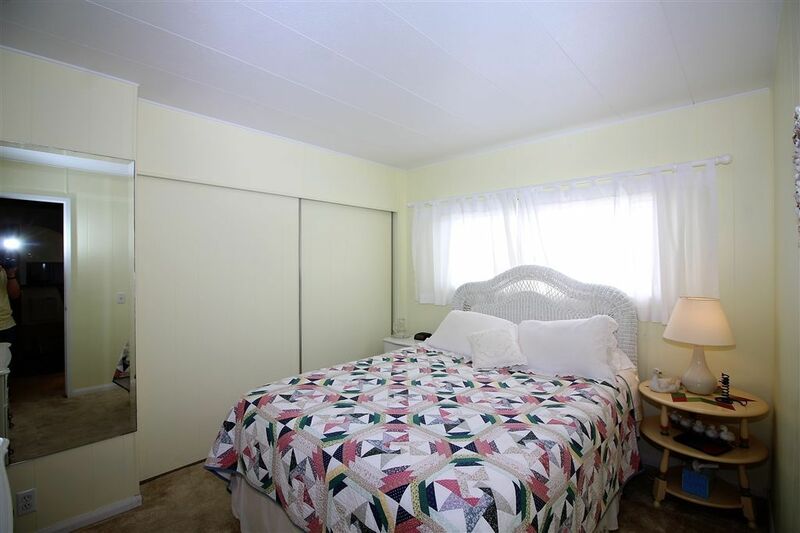 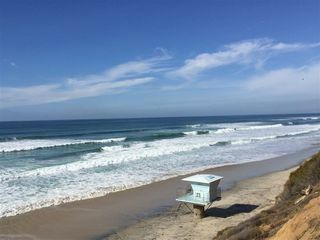 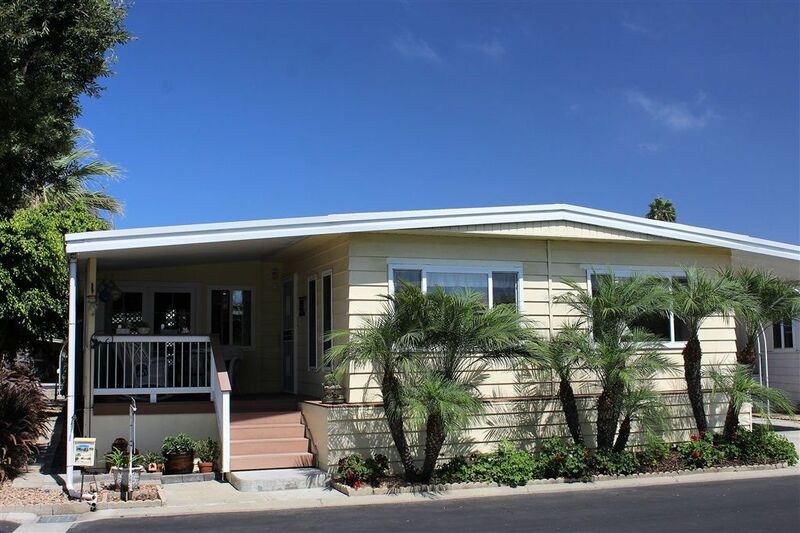 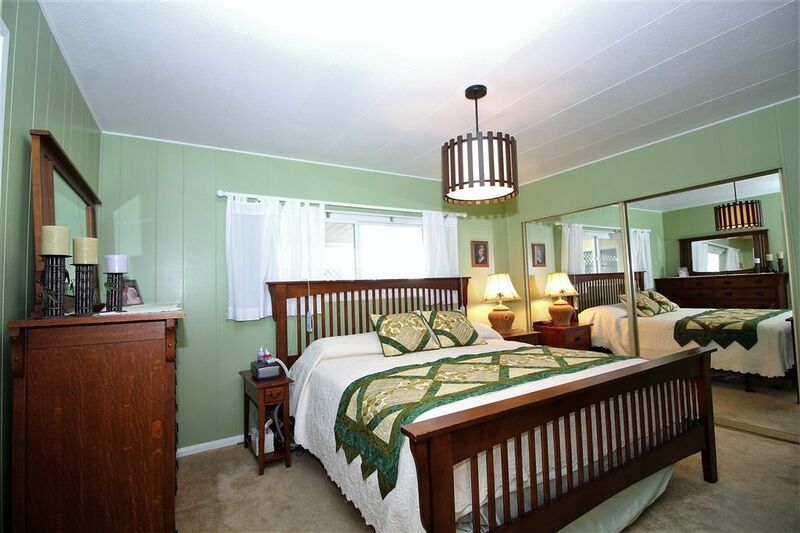 Before you give up trying to find an affordable home that's close to the beach, you must see this spacious 2 bedroom 2 bath home featuring remodeled kitchen & baths, vinyl windows, French doors & more, approx. 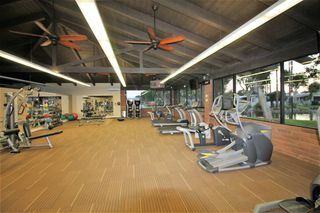 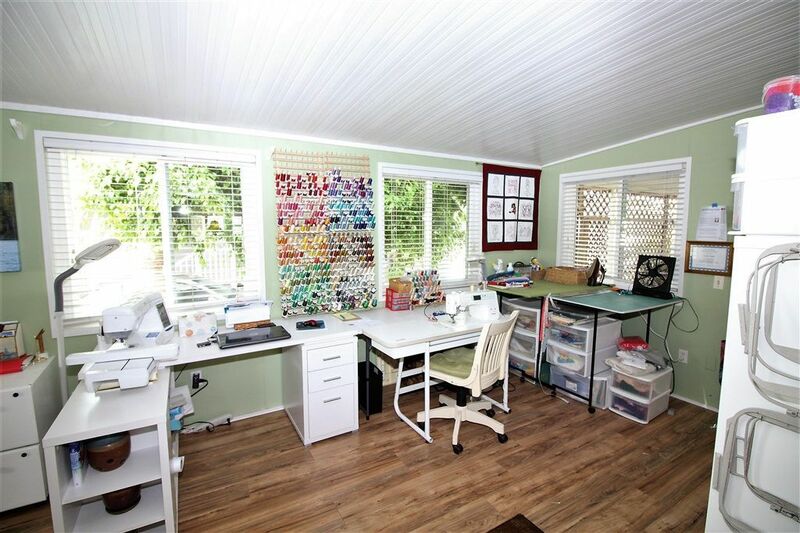 1,670 sq.ft. 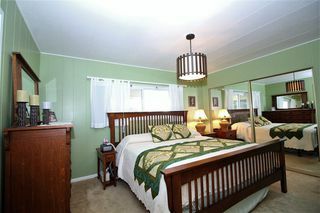 with great CA room!!! 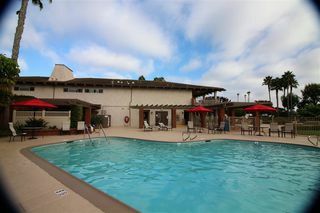 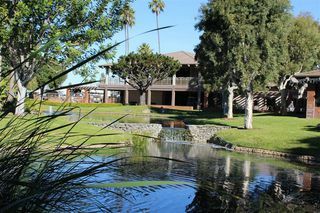 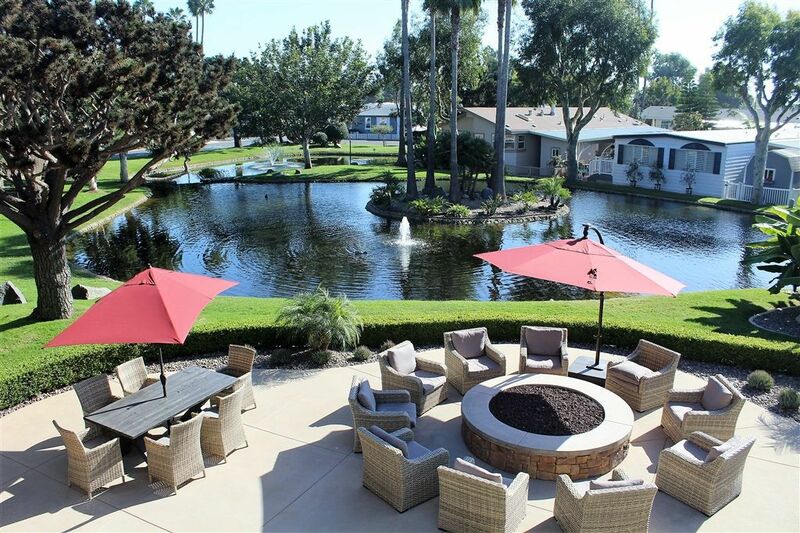 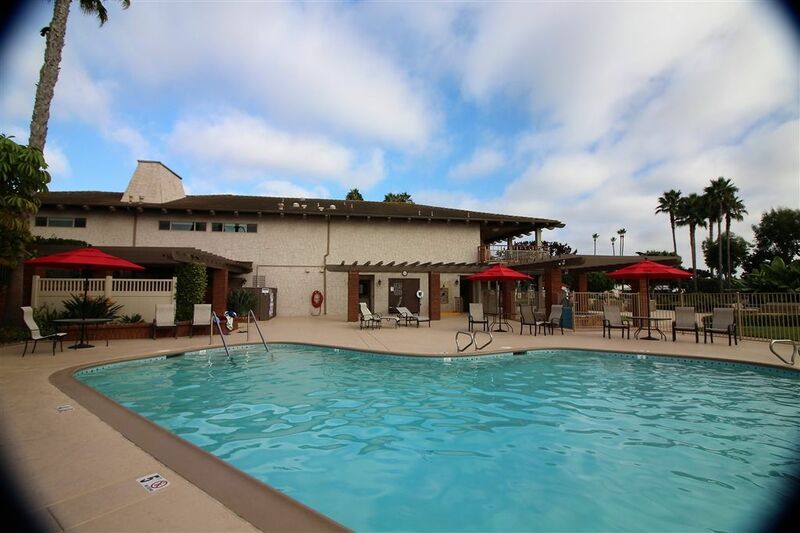 Located in fabulous Lakeshore Gardens, one of the most desirable adult 55+ beach communities with space rent of only $1700. 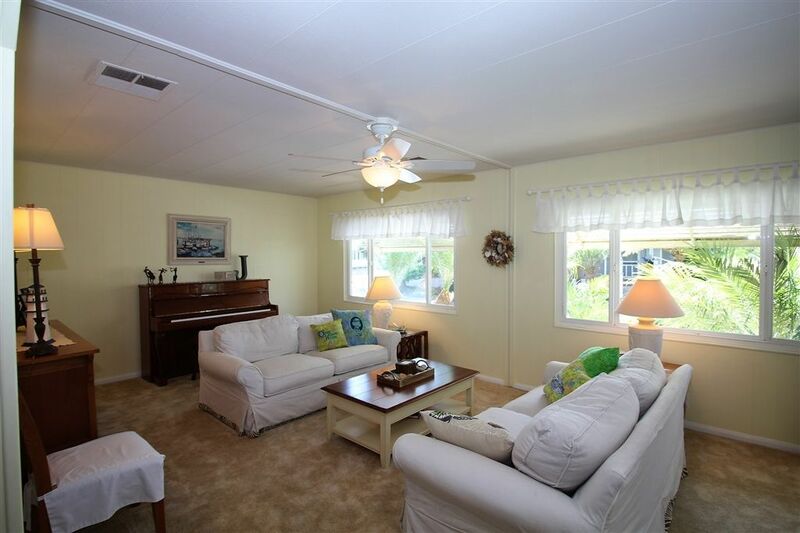 It has all that beach life has to offer, plus super convenient shopping, banks, restaurants & more!!! Time to start living your dream!!! 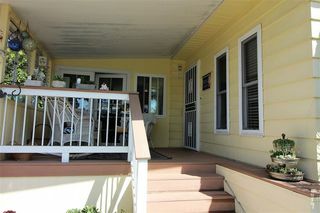 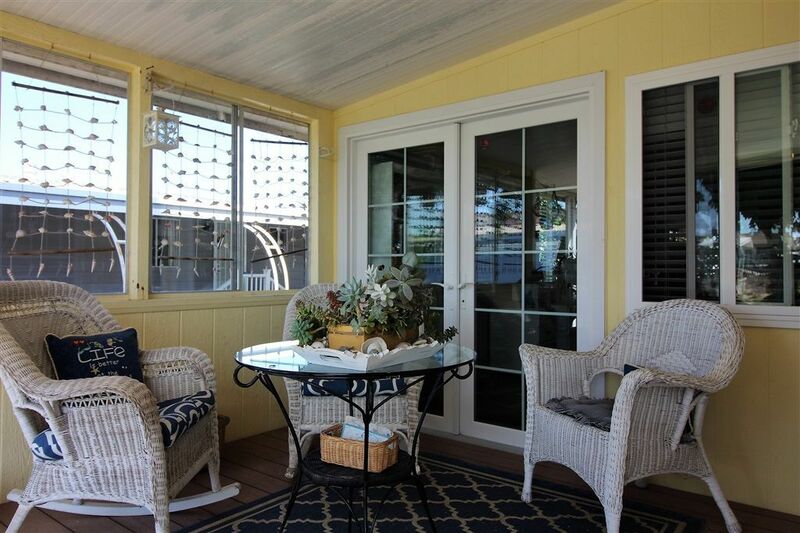 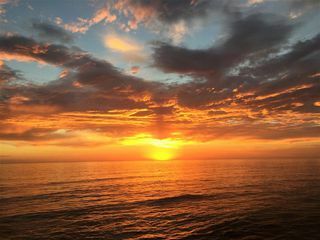 Inviting front covered deck, features Trex type composite decking, large openable windows along the beach side to let in the wonderful ocean breezes, or close the windows on a chilly evening! 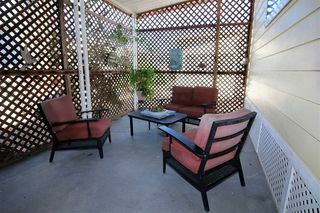 Perfect for visiting with friends or just relaxing! Tranquil green-belt view from your deck and living room!!! 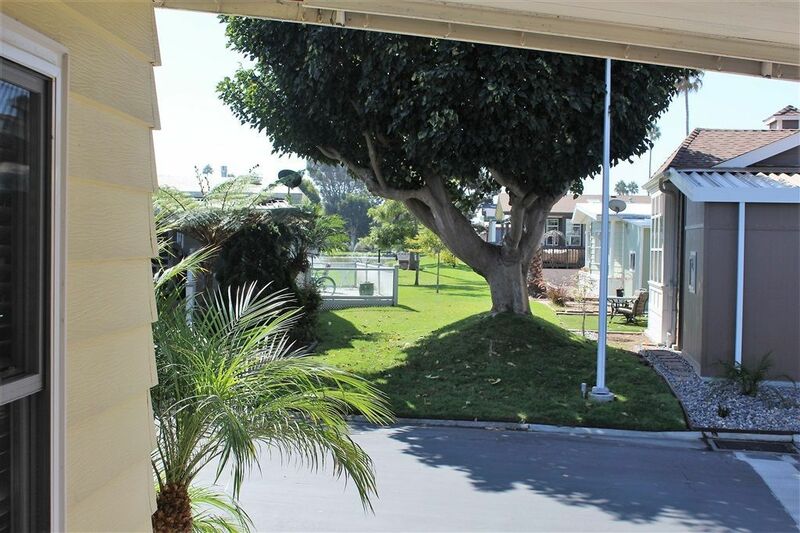 You get to enjoy the view without having to pay the greenbelt space rent! 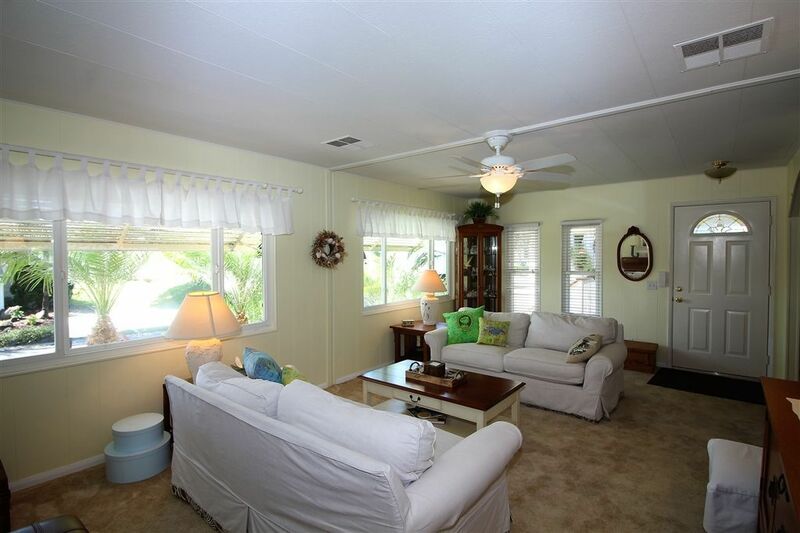 Party sized living area is open to the dining area, making it ideal for entertaining as viewed from the entry door. Notice the large easy open dual pane vinyl windows that make it bright & cheery, plus letting in all the sunshine & cool ocean breezes!!! Looking toward the entry door & dining area on the right. 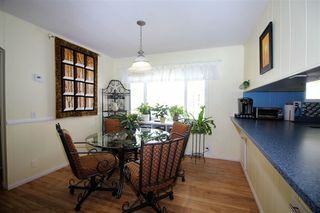 View from dining area. 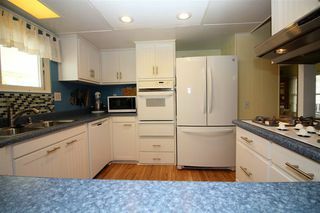 It features newer 5 burner stove & oven with lots of cabinet & counter space. 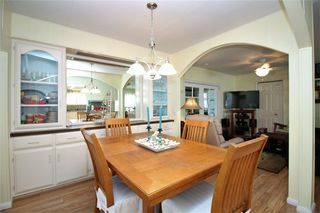 It also has a large casual in-kitchen eating area, recessed can lighting & full pantry! 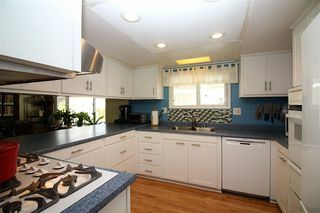 View from the eat-in kitchen area for casual dining. Eat-in kitchen area, which is conveniently open to the den (view if from den). 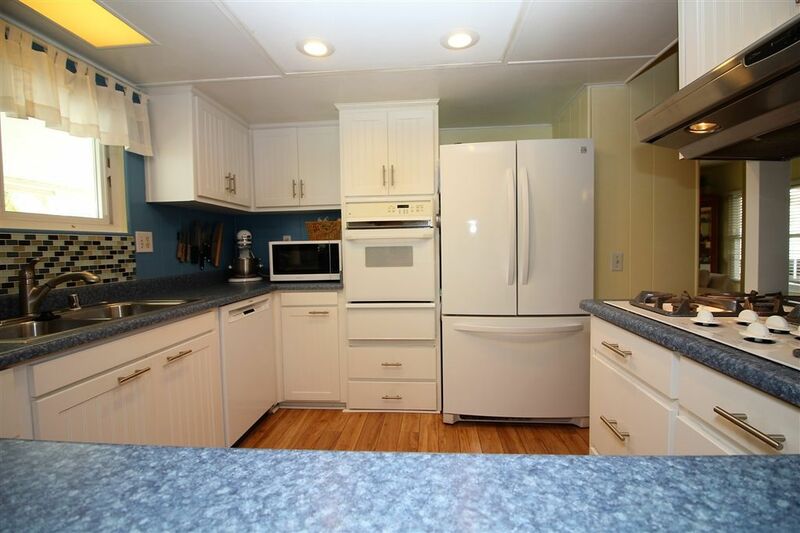 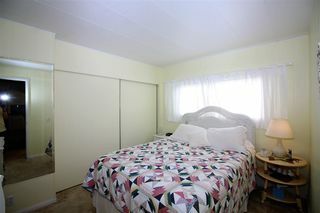 Leads directly to the kitchen and is open to the living room & den. Perfect for entertaining! 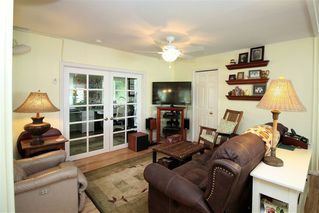 The den is adjacent to the kitchen & dining area, with French doors leading to the CA/bonus room. 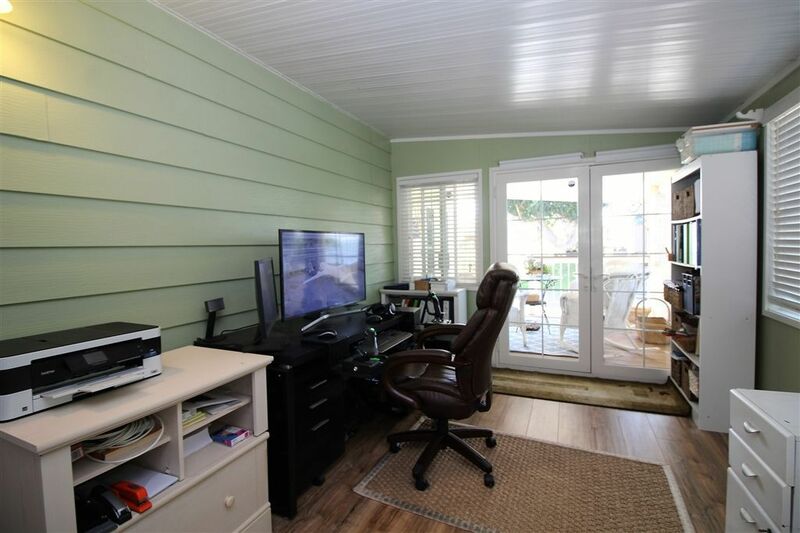 This unusually large CA/bonus is 9.5' x 24' has been wonderfully finished, including all dual-pane vinyl windows with French doors leading to the front deck and French doors coming from the den, with a back door leading to the side yard. It is currently being used as an office as well as a his & hers hobby area!!! 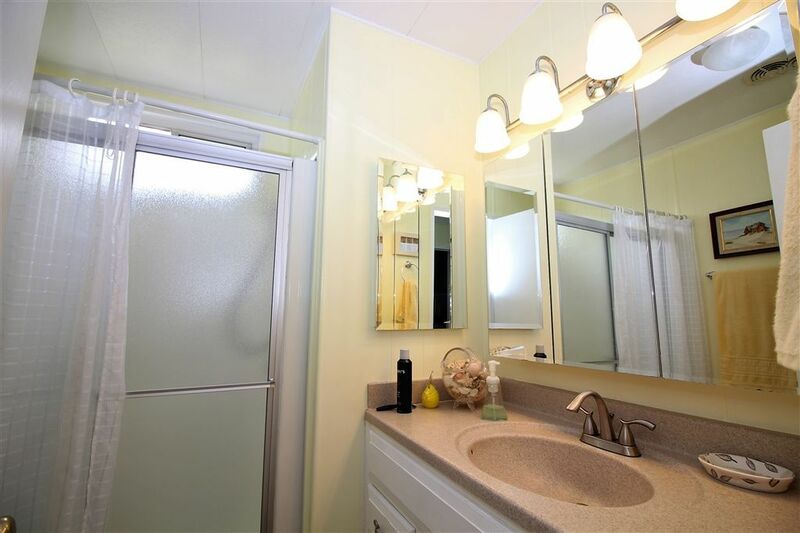 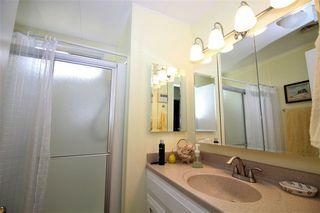 Master bath features large shower and newer vanity. 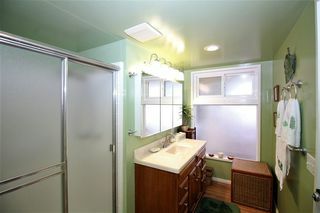 2nd bath has nice shower with large vanity. 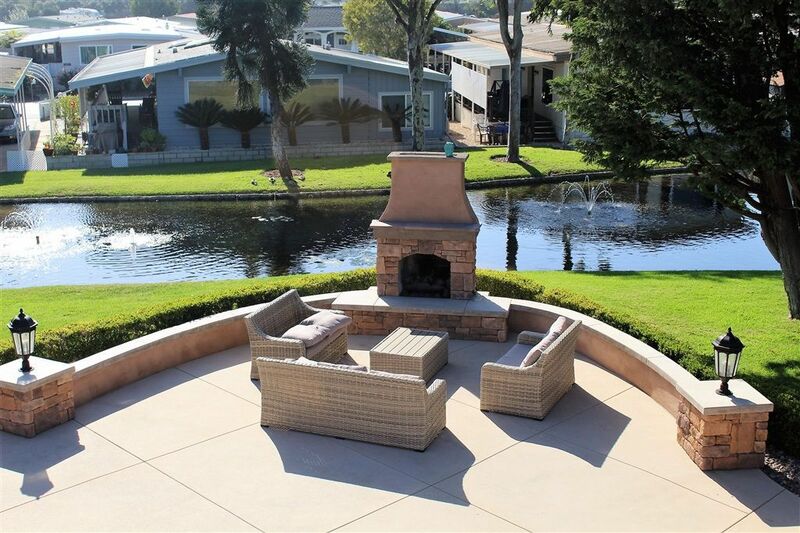 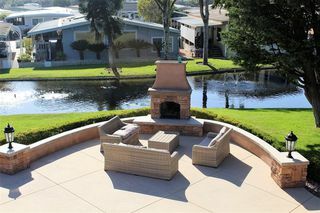 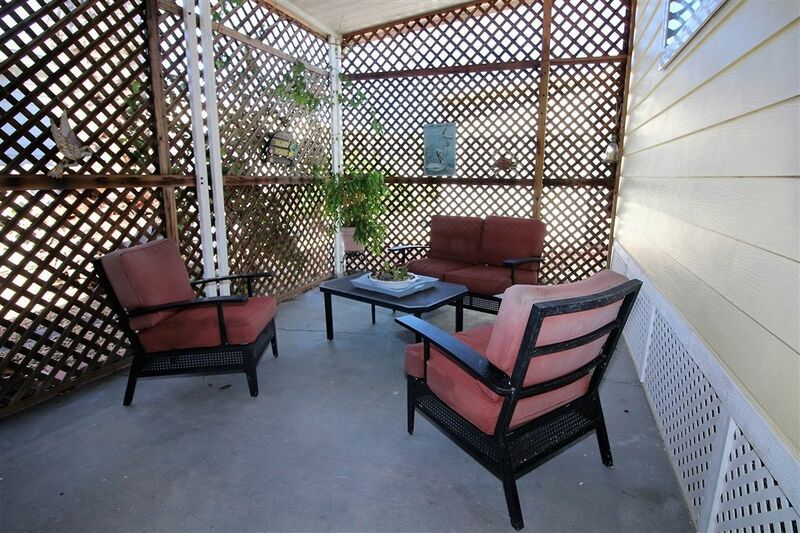 Enclosed side yard, great for relaxing, grilling, or even a pet or two!